Montreal-based La Presse. Screenshot by J-Source. 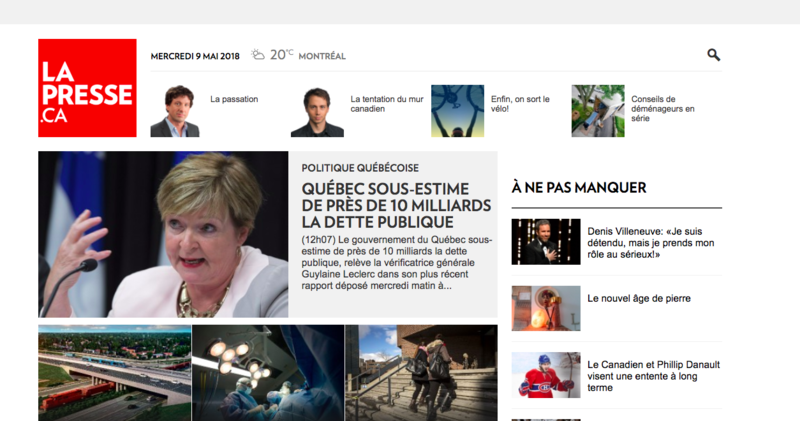 La Presse’s decision to adopt a not-for-profit structure involves “a bit of a risk,” according to a charity and non-profit lawyer from Ottawa. While a legislative roadblock for non-profit registration has been cleared, charitable status under the Canada Revenue Agency — which would allow La Presse to issue tax receipts for donations – remains out of reach for media organizations. 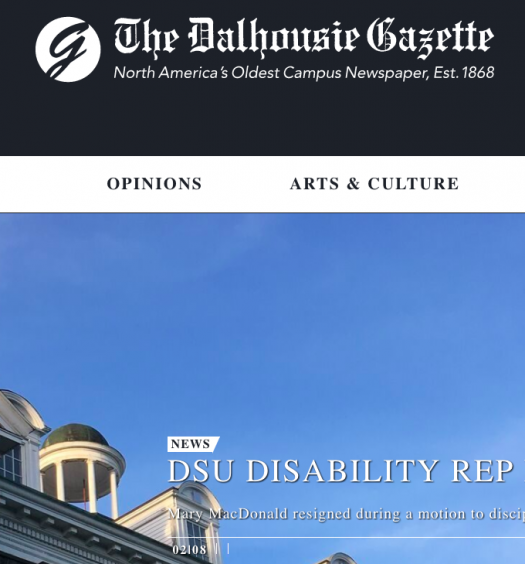 “So as far as I can tell, basically La Presse is taking a leap of faith based on the fact that the federal government is looking at ways to make charitable status available to newspapers and that was in the 2018 budget,” said Alexandra Tzannidakis, who practices non-profit law at Drache Aptowitzer LLP. Power Corporation of Canada, whose subsidiary Square Victoria Communications group owns the 130-year old publication, announced it would give $50 million for the not-for-profit structure, but that it would no longer own La Presse. This comes after the federal government committed $50 million over five years in its latest budget to support local journalism and explore ways to allow private and philanthropic support for non-profit journalism, including the possibility to receive charitable status. 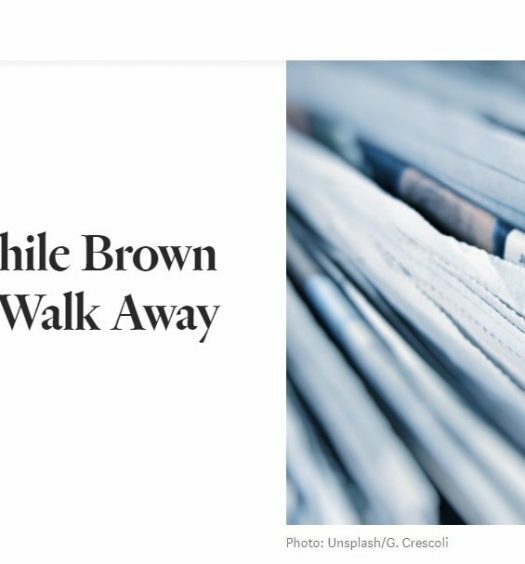 The catch is that newspapers aren’t likely to gain charitable status under the current rules, which confine charitable work to the relief of poverty, advancement of education, advancement of religion or other purposes that benefit the community. “I think they’re kind of hedging their bets that they’re going to get some help on that front because they’re taking a bit of a risk,” Tzannidakis said. Tzannidakis said the terms non-profit and not-for-profit are interchangeable, but there are distinctions between that model and what it means to be a charity. Nonprofits are free to undertake a wide spectrum of activities for the common good – such as recreation or social welfare — as long as they don’t profit individuals. Nonprofit publications can accept donations, but without charitable status they can’t issue the tax receipts that make donating attractive to large-scale donors. Tzannidakis said at this point, there is no place really for a newspaper to claim charitable status in Canada. In contrast to charitable status, non-profit status is more accessible and there are already numerous non-profit publications operating in Canada. The situation for La Press was unique because an ownership change needed the Quebec government to repeal a provision of an act adopted in 1967, Tzannidakis explained. “The change in status of La Presse is actually a really specific thing that I doubt applies to anyone else,” said Tzannidakis. A core advantage to non-profit status is that the organization’s income becomes tax exempt, because there are no profits. However, this advantage is also subject to some potentially restrictive CRA rules, according to Tzannidakis. There are narrow definitions from the CRA as to what counts as providing a benefit for members, she noted. And legal status is just one hurdle La Presse will face, cautions Carl Neustaedter, director of communications for the Public Policy Forum. He worked on the report The Shattered Mirror, which recommended changing Canada’s charity laws to support journalism. Neustaedter said even if the laws change, he does not think Canada has a culture where “people are going to step up in droves to support journalism” through donations. The skepticism is backed up by the 2018 Digital News Report, which was conducted before La Presse announced it would switch to a not-for-profit model. The report showed that only 21 per cent of regular La Presse readers would consider making donations if the outlet couldn’t cover costs. If it ends up foundations can support news operations, or tax breaks are granted for charitable support toward news organizations, finding support for local journalism outlets will remain tricky, according to April Lindgren, a professor who leads the Local News Research Project at Ryerson University’s School of Journalism. “The issue for small news organizations that are going to become reliant on donations … is how much diversity they have in their sources of funding … If you become reliant on foundation funding, you also become reliant on foundation funding for your longevity and survival,” Lindgren said.